How on Earth did we fix upon our twenty-six letters, what do they really mean, and how did we come to write them down in the first place? 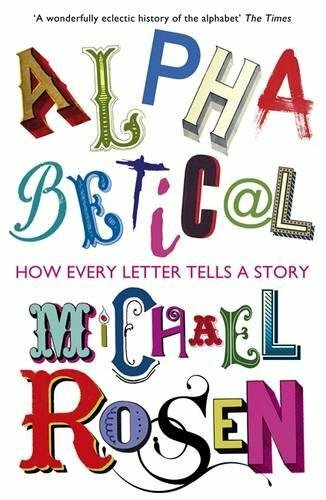 Michael Rosen takes you on an unforgettable adventure through the history of the alphabet in twenty-six vivid chapters, fizzing with personal anecdotes and fascinating facts. Starting with the mysterious Phoenicians and how sounds first came to be written down, he races on to show how nonsense poems work, pins down the strange story of OK, traces our five lost letters and tackles the tyranny of spelling, among many many other things. His heroes of the alphabet range from Edward Lear to Phyllis Pearsall (the inventor of the A-Z), and from the two scribes of Beowulf to rappers. Each chapter takes on a different subject – whether it’s codes, umlauts or the writing of dictionaries. Rosen’s enthusiasm for letters positively leaps off the page, whether it’s the story of his life told through the typewriters he’s owned or a chapter on jokes written in a string of gags and word games. This is the book for anyone who’s ever wondered why Hawaiian only has a thirteen-letter alphabet or how exactly to write down the sound of a wild raspberry.